The Weedless Hula Grub is similar in design to the ever popular arky style heads and is excellent for pairing with Hula Grubs when pitching, dragging or swimming around grass and snaggy cover. 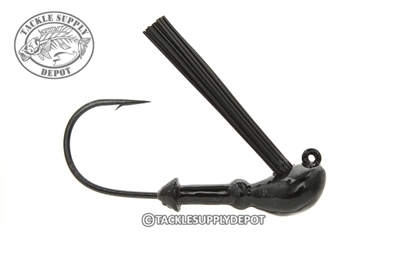 Featuring a skirt collar which allows for a skirt to be added making a for a great casting jig. Paired with a top quality Owner hook.